A University of Notre Dame graduate, Mike has since helped start up a Pilates studio in Sydney, worked for London’s biggest musculoskeletal physiotherapy group as well as worked for Life Ready South Perth for several years. He organised physiotherapy cover for the Irish International Rugby League team on their World Cup tour to Perth and has done some work with the 2017 squad himself. Mike has completed his certificate in Spinal Manual Therapy and has a keen interest in treating neck and back pain. He has undertaken advanced dry needling training and has also trained with one of the PGA golf physiotherapists to improve treatment of golf related injuries. Mike also enjoys treating TMJ (jaw) pain. His personal interests include surfing, travel and environmental conservation. Mike has traveled to over 60 countries and loves surfing throughout Western Australia and the globe. Since completing her physiotherapy degree at Curtin University in 2009, Ashlyn has gained experience in a variety of areas within private practice in Perth and in London. In 2010 she completed a year long Clinical Pilates program which gave her the expertise to teach both mat and equipment based Clinical Pilates. She has also completed additional courses in spinal manual therapy, dry needling and running analysis. Ashlyn enjoys working in all areas of musculoskeletal physiotherapy although she has a strong interest in exercise rehabilitation. She enjoys the challenge of creating patient- specific rehabilitation programs to assist clients in returning to their given sport or hobby, whether that be gardening, skiing, kayaking or lawn bowls! Ashlyn also has a keen interest in working closely with women through pregnancy and the post-partum period. She is currently studying her Masters in Continence and Women’s Health at Curtin University. In her spare time Ashlyn enjoys surfing, yoga, swimming, running and travelling the world. Emma completed her studies for remedial massage therapy in the United Kingdom back in 2010 and after moving to Australia in 2014, completed RPL for the Australian Diploma in Remedial Massage. Since graduating, Emma has worked mostly within a physiotherapy environment and has developed a keen interest in a wide range of musculoskeletal injuries and disorders. She particularly enjoys treating clients suffering from neck, shoulder and back pain and helping pre and post natal mums and mums-to-be. She loves being about to help people feel better – whether that’s from a pain level, or a movement level, or a positivity level. Outside of work, Emma loves being outdoors, travelling and making healthy treats! 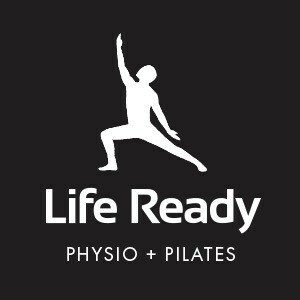 At Life Ready Physio Busselton we are all about providing quality healthcare and excellence in physiotherapy and physiotherapy related services. Our passion is empowering our clients to achieve their goals and to enable them to maintain optimal health and wellbeing. We offer general physiotherapy, supervised exercise sessions (incorporating Pilates inspired exercises), remedial massage and gym rehabilitation programs for clients in Busselton and the surrounding areas. Whether you’ve suffered a sports related injury, recently undergone surgery, suffering from a work-related issue or just nasty aches and pains, our dedicated practitioners work hard to assist in your recovery to get you ready for life again! Call our team on 9788 6105 or book online now! Only 3 spots left. VIP massage. For Life! TnC apply. Massage valid with Emma. Looks like we’ve got another day of blue skies and sunshine!